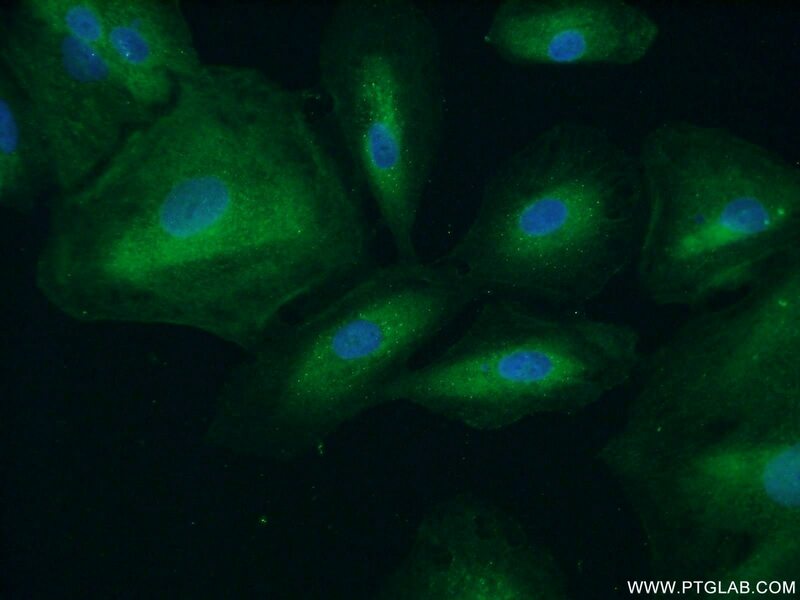 IP Result of anti-APAF1 (IP:21710-1-AP, 4ug; Detection:21710-1-AP 1:500) with HEK-293 cells lysate 2000ug. 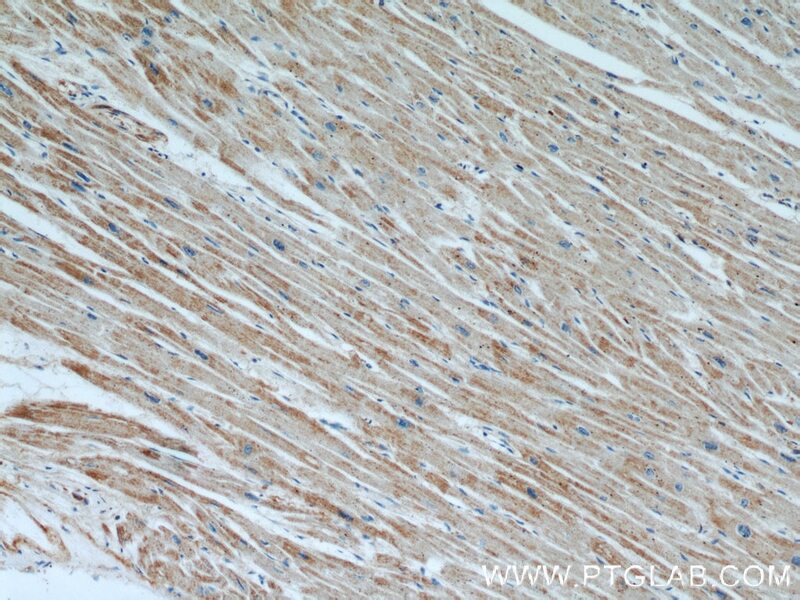 Immunohistochemical analysis of paraffin-embedded human heart tissue slide using 21710-1-AP( APAF1 Antibody) at dilution of 1:200 (under 10x lens). 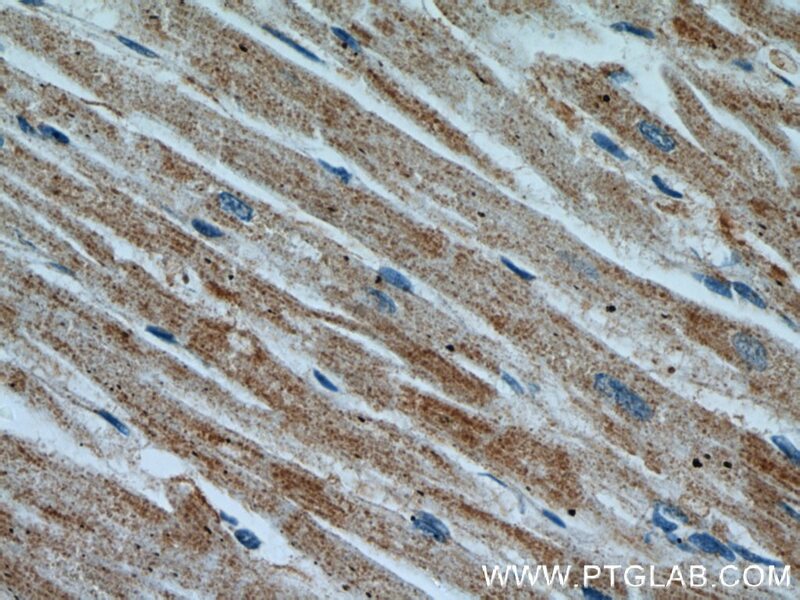 Immunohistochemical analysis of paraffin-embedded human heart tissue slide using 21710-1-AP( APAF1 Antibody) at dilution of 1:200 (under 40x lens). 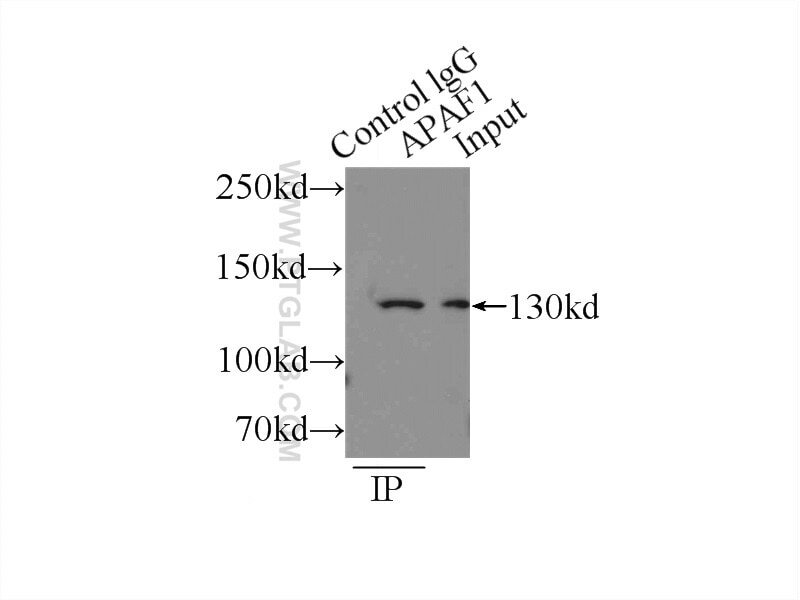 APAF1, also named as Apoptotic protease-activating factor 1 or KIAA0413, is a 1248 amino acid protein, which contains one CARD domain, contains one NB-ARC domain and Contains fifteen WD repeats. APAF1 localizes in the cytoplasm and is widely expressed in many tissues. 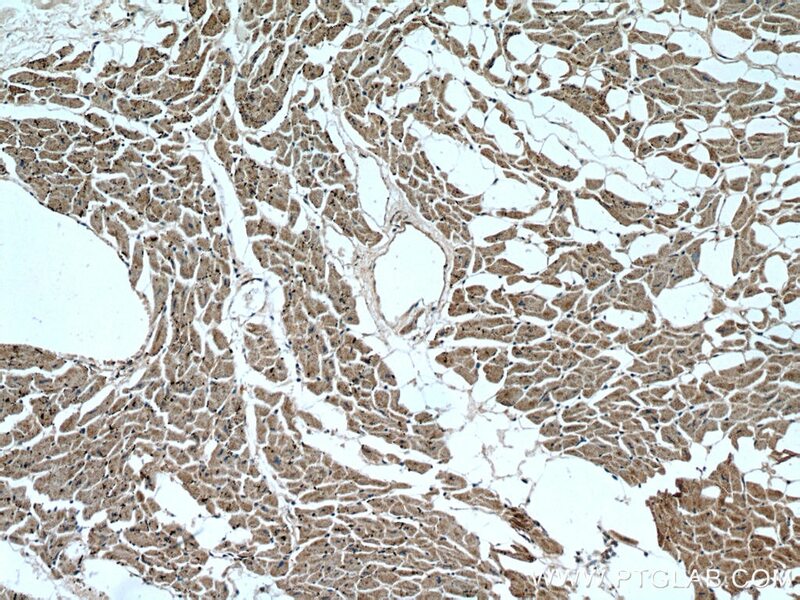 Highest levels of expression is in adult spleen, peripheral blood leukocytes, in fetal brain, kidney and lung. Oligomeric APAF1 mediates the cytochrome c-dependent autocatalytic activation of pro-caspase-9 (Apaf-3), leading to the activation of caspase-3 and apoptosis. Protective effect of flavonoid-rich extract from Rosa laevigata Michx on cerebral ischemia-reperfusion injury through suppression of apoptosis and inflammation. 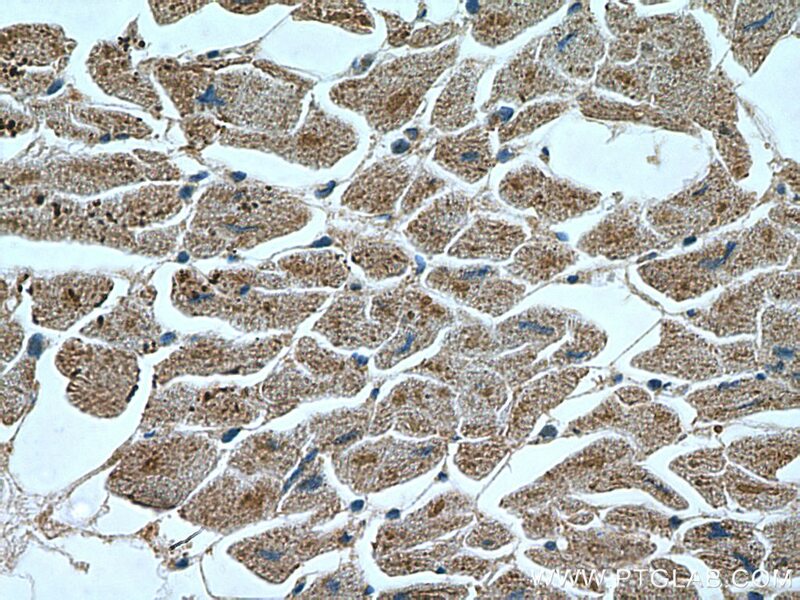 An ESRG-interacting protein, COXII, is involved in pro-apoptosis of human embryonic stem cells. DLC-1 induces mitochondrial apoptosis and epithelial mesenchymal transition arrest in nasopharyngeal carcinoma by targeting EGFR/Akt/NF-κB pathway. Cold-inducible RNA-binding protein inhibits neuron apoptosis through the suppression of mitochondrial apoptosis. Inhibition of cell growth and induction of inflammation by endosulfan in HUVEC-C cells. Mitochondria-Associated Apoptosis in Human Melanoma Cells Induced by Cardanol Monoene from Cashew Nut Shell Liquid.